This is to draw your urgent attention towards the fact that there is no capacity and skill in the country for removal of asbestos from existing buildings and for disposal of end of life asbestos roofing materials. We have been getting requests seeking help in dealing with disposal of end of life asbestos roofing materials and for removing carcinogenic asbestos materials. 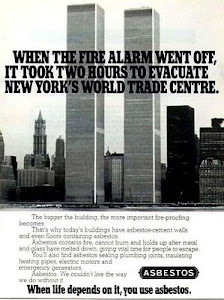 We wish to point out that there is a compelling logic emerging for pre-existing asbestos based plants to shift to non-asbestos based building materials. We submit that Union Government is publicly revealing that it does not favour new asbestos plants in the country. "The Government of India is considering the ban on use of chrysotile asbestos in India to protect the workers and the general population against primary and secondary exposure to Chrysotile form of Asbestos." It has noted that "Asbestosis is yet another occupational disease of the Lungs which is on an increase under similar circumstances warranting concerted efforts of all stake holders to evolve strategies to curb this menace". A concept paper by Union Ministry of Labour revealed this at the two-day 5th India-EU Joint Seminar on “Occupational Safety and Health” on 19th and 20th September, 2011. (Reference: http://www.labour.nic.in/lc/Background%20note.pdf). We submit that Bureau of Indian Standards (BIS)'s recommendations for cleaning of premises and plants using asbestos fibres and for disposal of asbestos waste material is merely a statement of intent is not really helpful in context of impossibility of safe use of asbestos of all kinds. We submit that Union Ministry of Chemicals, Government of India has rightly disassociated itself from countries like Russia and Canada on June 22, 2011 who derailed the international consensus that categorizes chrysotile asbestos as a hazardous substance under the UN’s Rotterdam Convention on the Prior Informed Consent Procedure for Certain Hazardous Chemicals and Pesticides in International Trade. 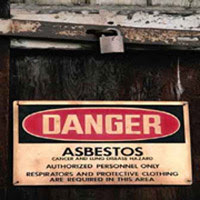 India has taken a position that it considers chrysotile asbestos as a hazardous substance. We submit that World Health Assembly Resolution 58.22 on cancer prevention urges Member States to pay special attention to cancers for which avoidable exposure is a factor, including exposure to chemicals at the workplace. 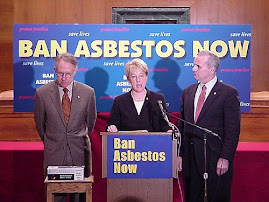 In 2005, with Resolution 60.26, the World Health Assembly requested WHO to carry out a global campaign for the elimination of asbestos-related diseases. We submit that the resolution of the 95th Session of the International Labour Conference of ILO in June 2006 stated, "Considering that all forms of asbestos, including chrysotile, are classified as known human carcinogens by the International Agency for Research on Cancer, a classification restated by the International Programme on Chemical Safety (a joint Programme of the International Labour Organization, the World Health Organization and the United Nations Environment Programme), it resolves that: (a) the elimination of the future use of asbestos and the identification and proper management of asbestos currently in place are the most effective means to protect workers from asbestos exposure and to prevent future asbestos-related diseases and deaths; and (b) the Asbestos Convention, 1986 (No. 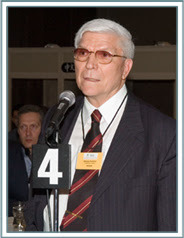 162), should not be used to provide a justification for, or endorsement of, the continued use of asbestos." We submit that Bureau of Indian Standards (BIS)'s 'Guidelines for safe use of products containing asbestos' is outdated. There are grave concerns about asbestos exposures resulting in public health crisis world over that has compelled 55 countries to ban use of asbestos. In the absence of environmental and occupational health infrastructure in our country, the passivity of the state governments and the concerned ministries like yours appears cannot be deemed acceptable. 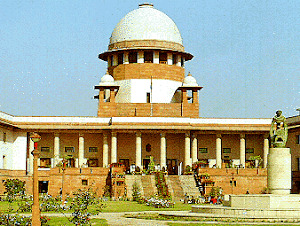 In view of the above, Bureau of Indian Standards (BIS) should be asked to re-examine the 'Recommendations for safety and health requirements relating to occupational exposure to asbestos' besides examining non-occupational exposure to asbestos and standards for asbestos related material like asbestos cement sheets, asbestos cement pressure pipes and joints, asbestos cement flat sheets, asbestos cement building boards, asbestos cement cable conduits and troughs etc. We submit that your ministry ought to consider writing to the State Governments to save people from incurable lung diseases. There should be a moratorium on asbestos based hazardous industries. Now your ministry should take the next logical step and phase out asbestos use and take immediate steps to ban this killer fiber to save the present and future citizens of the country.